We can all learn something from Tony Hawk. Progression is where it’s at! This is the story of how Warroad, Minnesota, population 1,763, became one of the top hockey towns in the world. 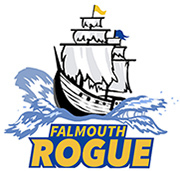 Let’s make Falmouth that, for ultimate. It’s going to take a few decades. Just get in the gym! Staying motivated to work hard is super important in the off-season. Inspirational videos like this help keep the energy up. Get in the gym! Just not Gus’s gym. Maine U17 Girls storm Nationals! Check out Rogue alumae Ayla (#18) and Devin (#16), both star players on Maine’s U17 all star YCC team! Brute Squad Highlights 2017 from ctajima on Vimeo.